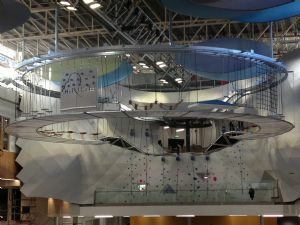 Welcome to Angus Firth Design..
Angus Firth Design are a Soft Play supplier, known as pioneers in the industry and a leading name for supplies of indoor adventure play, having designed and installed more than 700 indoor soft play areas around the world. For over 25 years Angus Firth Design have been a leading UK manufacturer and suppliers of Indoor Play Areas and Structures for the retail, leisure and educational markets. We are a trusted and renowned indoor soft play installer that creates bespoke, state of the art children's soft play structures, indoor childrens play equipment and attractions, that appeal to families. Today in the UK there are over 1,000 adventure indoor childrens play areas in family venues from pubs to stately homes – the soft play market is a market that is growing rapidly as we adopt a more continental attitude towards family leisure time. Families now expect to be entertained and looked after when they go out, whether it’s for a meal or a whole day. If your establishment can’t satisfy their needs, they’ll visit one that has an indoor soft play area to entertain the kids with soft play shapes and equipment which can. Whether your business or organisation is in retail, leisure, education or caters for families, indoor soft play areas provide an added attraction providing an opportunity for fun, as well as a substantial return on investment for your business. Contact us today to discuss your indoor play installation requirements. Here at Angus Firth Design we are one of the leading specialists in soft play equipment for children's indoor play areas. As one of the largest soft play manufacturer, we create thousands of soft play designs for a diverse variety of establishments and provide all the necessary soft play supplies that you will need to create and maintain a superb softplay area for kids of all ages. When considering the right soft play solution for your requirements and needs discuss your ideas with one of our professional advisors here at Angus Firth Design. We will happily provide you will a range of soft play design ideas based on your premises, offering the maximum benefit and enjoyment to your little guests. Call today for a quote on the latest soft play equipment and designs. 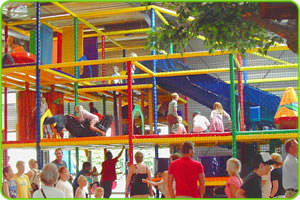 Providing high quality indoor play areas for a range of establishments including shopping and retail centres, family businesses, holiday companies and many more, Angus Firth Design are one of the biggest indoor play equipment suppliers, offering tailored indoor soft play solutions to compliment a range of establishments and public play areas. We offer detailed indoor play design ideas to match the layout of the particular space to be utilised and no area is too large to create the best indoor play area to suit your needs and requirements. 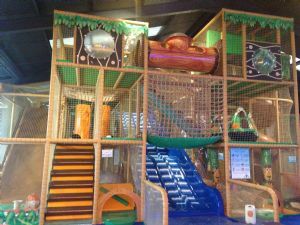 For the right assistance and guidance on the best indoor play solutions for whatever building or area, call the professional experts here at Angus Firth Design today to discuss indoor soft play quotes now. Angus Firth Design are one of the leading play area providers within the UK and excel in designing, manufacturing and installing all types of indoor childrens sensory play equipment. From their impressive array of soft play equipment and products to innovative play area designs and professional installations, Angus Firth Design have built a strong reputation as one of the most experienced and professional childrens play area suppliers within the UK and are proud of their abilities to supply a huge range of indoor childrens play equipment. For a full quotation from the leading play area providers, call the experts today here at Angus Firth Design.